Many people ask if the Pod will fit their animal and typically the answer is yes! There are customers with Pods on emus, falcons and other exotic animals as well as small cats and small dogs. 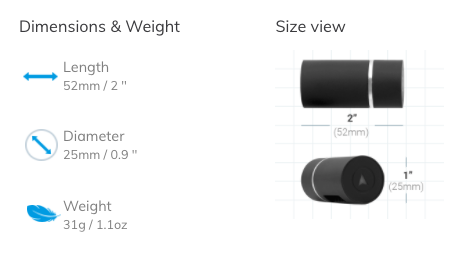 The Pod is the smallest and lightest pet GPS tracking device of its kind. It is about the size of a standard wine cork at 31g / 1.1oz in weight and 52mm / 2in in length. See how the Pod compares to our competitors or find out why we believe Pod is the right choice for you. You can also look at our collection of Pets with Pods to see exactly how it fits on an animal like yours!